I cannot write too much today because I am still packing. I can’t believe how much we have; in stuff we are not lacking. 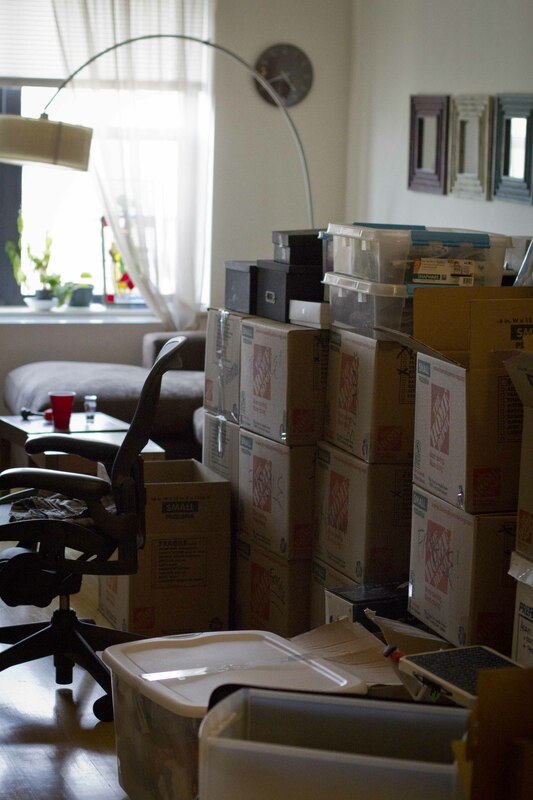 The boxes in our living room – they won’t stop multiplying. I think we’re now past forty-five; I swear I am not lying. The bathroom’s done, the kitchen’s near, the bedroom’s getting there. In forty hours give or take the movers will be here. They’ll load our stuff; we’ll say goodbye – I might just shed a tear. It’s been five years since I arrived here at two-fifty-two. Twenty-seven, post-breakup and feeling rather blue. How things have changed! I’ve left my job and now I have a spouse! The next adventure -Fort Greene, Brooklyn – to our very own firehouse! You two are on your way! You now have room to grow. Our wish for you: the BEST will do! good luck in your new place!!! !